No matter what time of year it is, my mother has to bundle up in a blanket. There have been summer nights when my father and I have been in shorts, and she starts building a fire in our wood stove. I have to agree, though, that even without being as cold-natured as she is, there is just something about curling up in a blanket that makes you feel like you’re home. Afghan and throw patterns are a year-round feature of our house, and if you’re the same way or want to get a jump on some winter crafting, put these crochet blanket patterns at the top of your to-do list. Granny square patterns are my favorite way to put together an afghan. 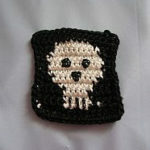 The squares are crafted as individual pieces of art, yet they all combine to make a bigger and better piece. Even though they all use the same central idea, each is unique and different, with every pattern bringing its own personality to the table. Here are my favorites of the newest and easiest granny square patterns—five squared of them, to be exact. 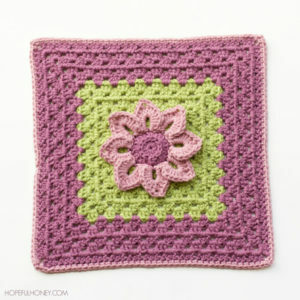 It’s only logical to turn a magic ring center into a blooming, bursting flower, which is exactly what these granny squares do. Your life may not always be a bed of roses, but an afghan of flower granny squares can be there to help you pretend on those tough days. Need a quick refresher on how to crochet the magic ring? Pop over to see this handy video, Crochet Magic Ring – Adjustable Ring Tutorial. Geometric patterns and granny squares go together like Taylor Swift and her gal squad—when you get them together, there’s just no stopping them (and who would want to?). 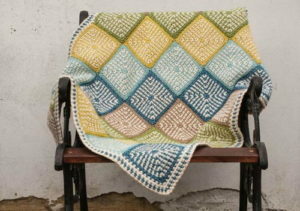 These patterns create mesmerizing designs that take your crochet blanket pattern to a whole new level. It is never too early to start working up holiday patterns, even if it feels a little weird to begin in the summer! I never plan soon enough and am always scrambling at the end to get presents or decorations ready—don’t be like me. 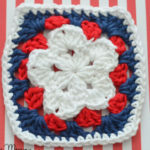 These 4th of July, Halloween, and Christmas themed granny squares are all great ways to prepare for festive times ahead. 4th of July, specifically, is right around the corner, and evenings can still get a little chilly, especially in the north. Even when the weather doesn’t require a light blanket, however, bringing an afghan to watch fireworks is a great idea. Some of my fondest memories are of spreading out a blanket and looking up in awe at the show. 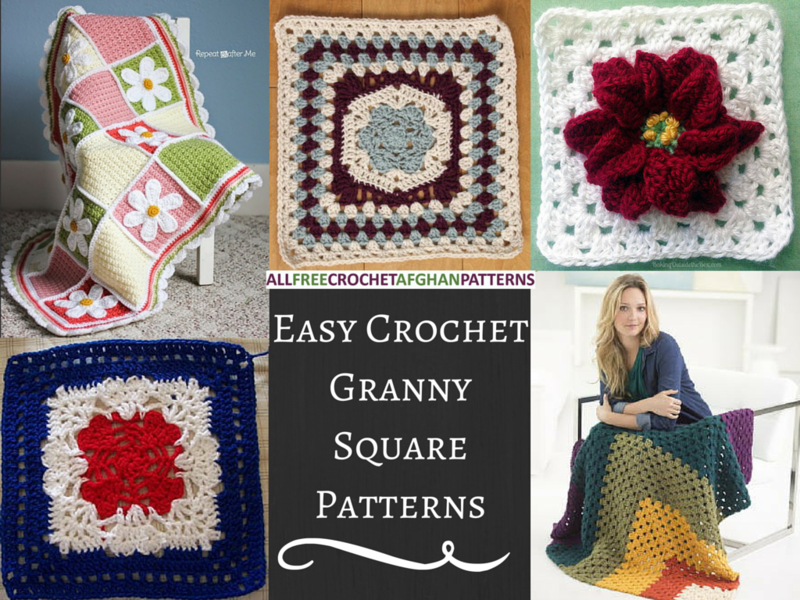 And for MORE easy crochet granny square patterns, check out It’s So Easy! 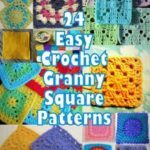 24 Easy Crochet Granny Square Patterns. What other granny square themes do you have up your sleeve?